Botswana safaris journals let you see exactly what trips there are like because they are photographed and written by people who have already been on such a holiday. So if you want to know what to expect, where and with whom the best Africa vacations are, the unbiased, informal recommendation from trip reports are unbeatable. The only way you are going to get better information is to go on one yourself. The reviews are broken down according to the area in which they took place and the operator that was used. They include some stunning photographs and stories which will give you inside and in-depth information about a Botswana safari holiday. Find out if any of the big cats have been seen, what the accommodation is like, how knowledgeable the guides are and a myriad of other nuggets of information. 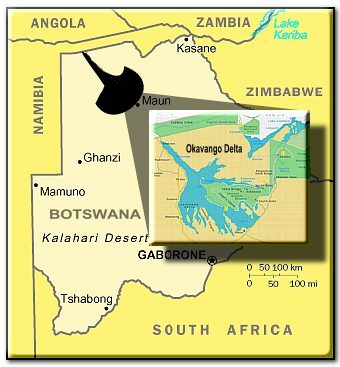 The Okavango Delta covers an area of 15,000 sq kilometres (the size of Switzerland or Massachusetts) and is fed by Southern Africa's third-largest river, the 1 300km long Okavango River. The mass of water attracts large numbers of game such as elephant, zebra, buffalo, wildebeest, giraffe, hippo, crocodile, lion and leopard and forms a unique ecosystem that is unrivalled anywhere else in the world. 11 000 sq kilometres of prime wildlife viewing land, Chobe provides breathtaking opportunities to see African animals in their natural habitat. 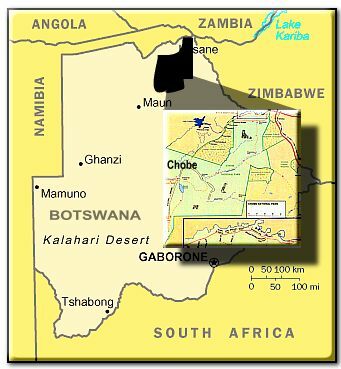 The highest concentrations of wildlife occur along the riverfront strip in Northern Chobe, but the Savuti Marshes and Mababe Depression. 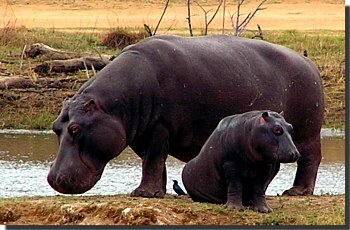 These are also excellent places to see lion, cheetah, hippo, elephant, giraffe, warthog, buffalo, brown and spotted hyena, baboons and wild dogs.